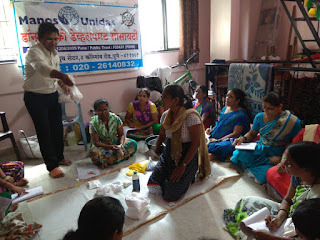 21-July-2018, Pune: The Don Bosco Development Society (DBDS), Pune organized an income generation training for the women from Jai Jawan Nagar slum in Pune. 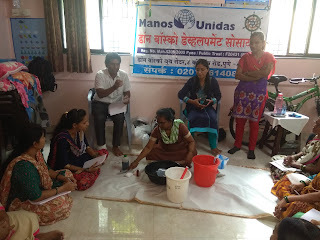 The programme was held under the aegis of ‘Women Empowerment Project’ supported by Manos Unidas, Spain. 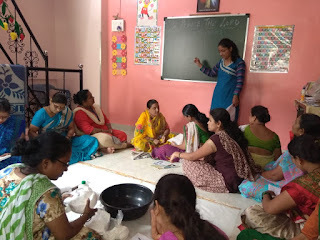 Ms. Jyoti Sonawane (Staff-DBDS) welcomed the resource person and participants. 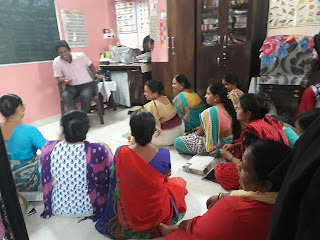 Mrs. Vinaya Pawar was the resource person for this training. 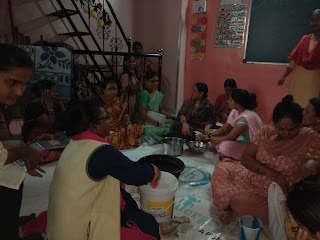 She taught ‘phenyl, detergent powder, liquid soap, hand wash, toilet cleaner and shampoo making’ to the participants.16 SHG women participated the training Program. 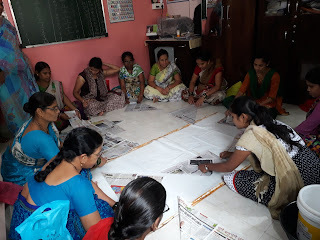 Ms. Jyoti taught how to make paper bags. 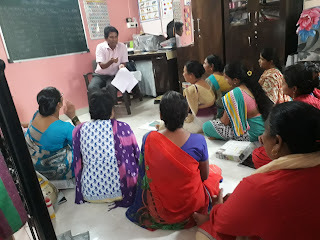 Mr. Nagsen conducted the business development session. He guided participants on marketing, sales, customer care, production, budget, advertising, product costing etc.